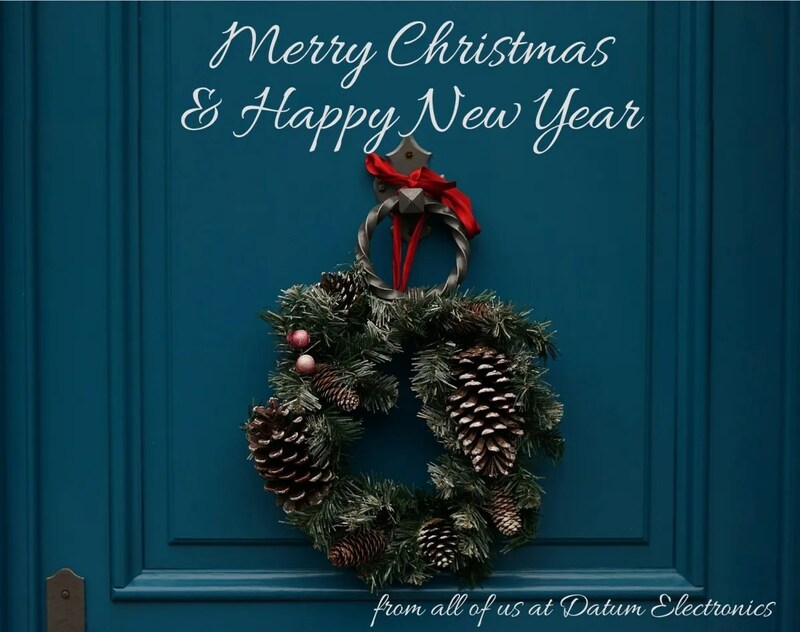 As 2017 draws to a close, we would like to acknowledge those who have helped us shape our business in the last 12 months and what a year it’s been for us all here at Datum! The year started off with a visit to Transport 2017 in Herning, Denmark with our Danish distributors, Uhre & Nybæk and finished with a trip to the Automotive Testing Expro in Michigan, USA, with our new distributor Comtel Corporation. We also had the pleasure of welcoming Zingtec, our Indian distributor to our HQ and hope to see more of them and the rest of our distribution team in 2018. Halfway through the year, we moved to new larger premises, which will allow Datum Electronics space to grow for the future. The additional floor space will help us manufacture and deliver your torque and shaft power measurement solutions even more efficiently and effectively. September heralded the launch of our new website in a great easy to read format, containing all of our technical literature and success stories, which we always enjoy sharing with you. If you haven’t already taken a look, you should! We were pleased to appoint Mark Gladdis to the position of Commercial Marine Product Manager in October, to help showcase our marine product range and highlight to our customers, how we are able to improve their fuel/propulsion efficiency. George Gosden, New Sales Engineer, joined Datum Team in November, enhancing our technical perspective and increasing the knowledge depth in our team. George will be responsible for looking after both our new and existing customers, dealing with enquiries relating to our torque sensor product range. In November, we welcomed Kvalitest who joined our distributor family and are based in Finland. Having, over 100 years of combined experience with torque test & measurement products and solutions, they will be looking after our customers in the Nordic region. So if you’re based in Finland, don’t you worry, you are definitely in good hands! Throughout the year we’ve reviewed how we can improve our communications and provide information on our product range. This has led to our initial forays into video production and the set up of an account with Cisco Spark – coming soon to a screen near you. We also have just signed an agreement with Abacus Marine to open a dedicated office in Athens, Greece, for our shaft power measurement and ship performance monitoring systems. This will facilitate our customers in Greece to liaise directly with the staff for product information, product demonstration and forward project planning. All in all, it’s been a great year and THANK YOU for being a part of it! We look forward to working with you and helping to solve your torque & shaft power measurement issues in 2018.